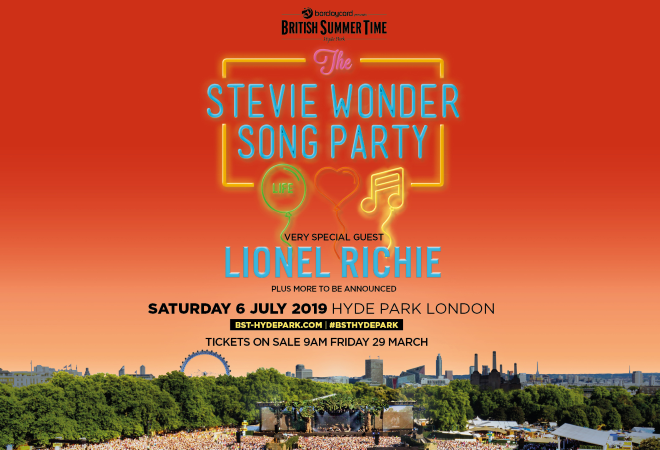 Singer, songwriter, musician, producer and activist Stevie Wonder is the final headliner to join the line-up at this year’s BST Hyde Park. One of the most celebrated and prominent figures in popular music, Stevie was the youngest recording artist to score a No.1 single with ‘Fingertips, Part 2’ at the age of 12. Stevie Wonder has achieved 49 Top 40 singles to date as well as 32 No.1 singles and worldwide sales of over 100 million units. He has taken home 25 Grammy Awards, a Golden Globe, an Academy Award as well as received the Presidential Medal of Freedom. Lionel Richie has been confirmed as one of the very special guests to share the Great Oak Stage this summer. The international superstar and acclaimed songwriter is known for his early work with The Commodores as well as for his many massive solo hits including ‘Endless Love’, ‘Lady’, ‘All Night Long’, ‘Dancing on the Ceiling’ and ‘Hello’. 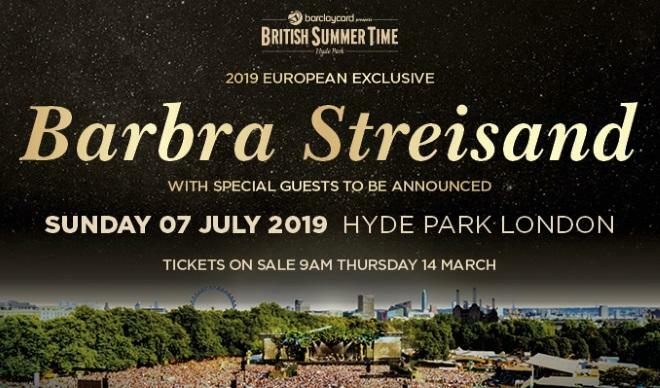 Barbra Streisand will make her BST Hyde Park debut this July! The US stage and screen icon has taken home two Oscars, 10 Grammys, five Emmys, the Special Tony Award, American Film Institute Award, Kennedy Center Honors Prize, 4 Peabody Awards, the Presidential Medal Of Freedom and nine Golden Globes. Some of her most famous hits include ‘Guilty’, ‘Woman In Love’, ‘The Way We Were’, ‘No More Tears (Enough Is Enough)’ and ‘Rai On My Parade’. Streisand has had No.1 albums in each of the last six decades – the greatest longevity for any solo recording artist with 11 US No.1 albums and six in the UK. She released her new album ‘Walls’ last year, featuring her first set of original songs since 2005. 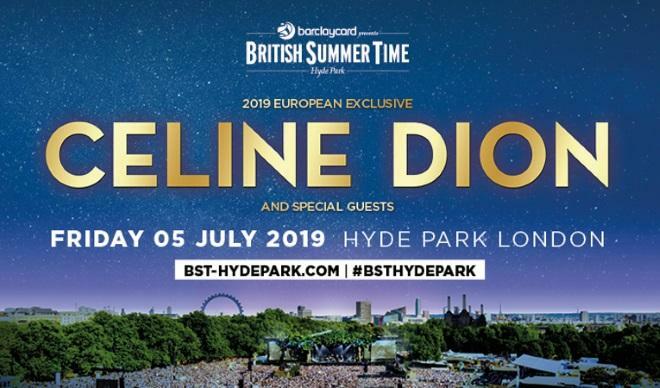 Get ready for one of the world’s biggest stars to light up Hyde Park this summer as she prepares to bring the first weekend to a close with what is sure to be a spectacular show! The Grammy-award winning artist is bringing her famous power ballads to the Great Oak Stage this July! The performance will follow shortly after she completes her hugely popular Las Vegas residency, which first began back in 2011 and will finally draw to a close on 08 June. 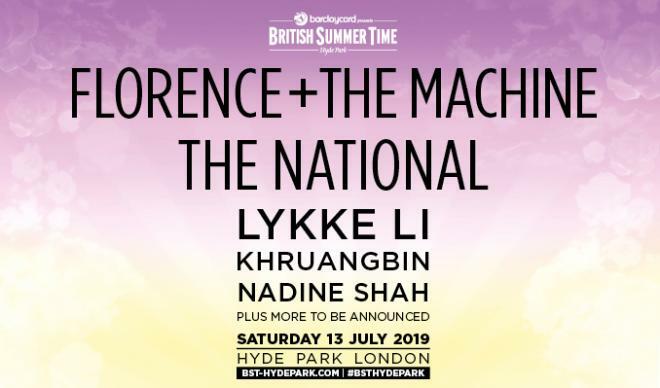 Florence + The Machine have been confirmed as the next headliners to join the line-up of Barclaycard Presents BST Hyde Park 2019! 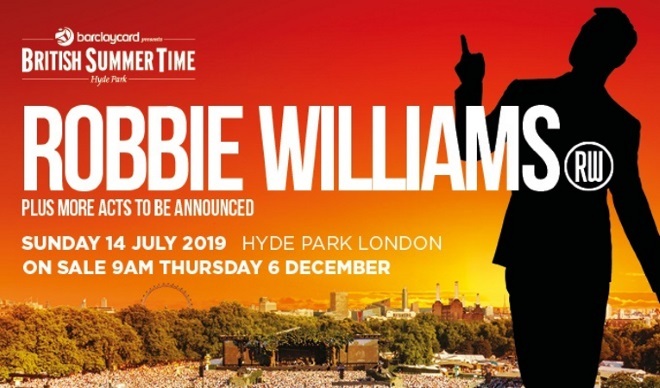 Other acts already announced include Bob Dylan and Neil Young on Friday 12 July 2019 and pop icon Robbie Williams on Sunday 14 July (see more details below!). Led Florence Welch, the indie rock band first made waves on the music scene back in 2009 with their hugely successful debut album Lungs, which featured hit singles like ‘You’ve Got The Love’ and ‘Dog Days Are Over’. They have since gone on to release three more studio albums including Ceremonials in 2011, How Big, How Blue, How Beautiful in 2015 and more recently High As Hope, which dropped earlier this year. Florence + The Machine will be supported by The National alongside special guests Lykke Li, Khruangbin, Nadine Shah and many more still to be announced. Robbie Williams will headline the Great Oak Stage for the first time next summer, in what will be his only UK open-air show of 2019. Support will come from Black Eyed Peas, Keane, Texas and Feeder. The artist first burst onto the music scene in 1990 as the youngest member of Take That. In 1995 he began to pursue his solo music career and has remained at the top of his game ever since! Robbie has six of the top 100 best-selling albums in British history as well as 14 No.1 singles and a record-breaking 18 BRIT Awards. More recently he has appeared as a judge on The X Factor and has announced a 12-date Las Vegas residency for next year, which has already sold out! The national treasure will release the third instalment of his fan special series ‘Under The Radar Volume Three’ on 14 February 2019, featuring previously unreleased material from his incredible 21-year solo career. 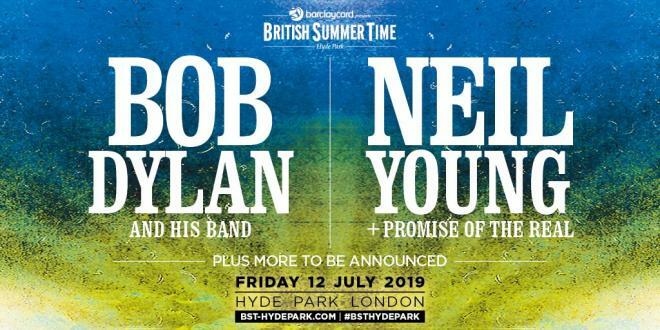 Barclaycard presents British Summer Time Hyde Park has confirmed Bob Dylan and Neil Young as its first headliners for 2019! Two of the greatest musicians of all time, with countless awards between them, will take to the stage for one memorable night of live music. Both artists are said to be fans of each other’s music and will share the stage together for the first time in their careers at Hyde Park festival’s seventh year. Bob Dylan has had an immeasurable impact on popular music and culture. He has created some of the most influential albums of all time, including ‘The Freewheelin’ Bob Dylan’, ‘Highway 62 Revisited’ and ‘Blonde on Blonde’. He is the recipient of Presidential Medal of Freedom and the 2016 Nobel Prize in Literature as well as 10 Grammy Awards and the Academy Award for Best Original Song for ‘Things Have Changed’ in 2002. Neil Young has also released his fair share of iconic albums such as ‘Harvest’, ‘After The Goldrush’ and ‘On The Beach’. More recently he released two albums in 2017/2018 alongside a collection of archive albums from some of his classic live shows. Neil Young will be joined on stage by Promise Of The Real, whom he worked with on his 2017 album ‘The Visitor’ and 2018’s soundtrack album ‘Paradox’. The band famously starred in the hit movie ‘A Star Is Born’ with Bradley Cooper and Lady Gaga and features Willie Nelson’s sons Lukas and Micah. More acts to be announced soon so watch this space!